This is it! 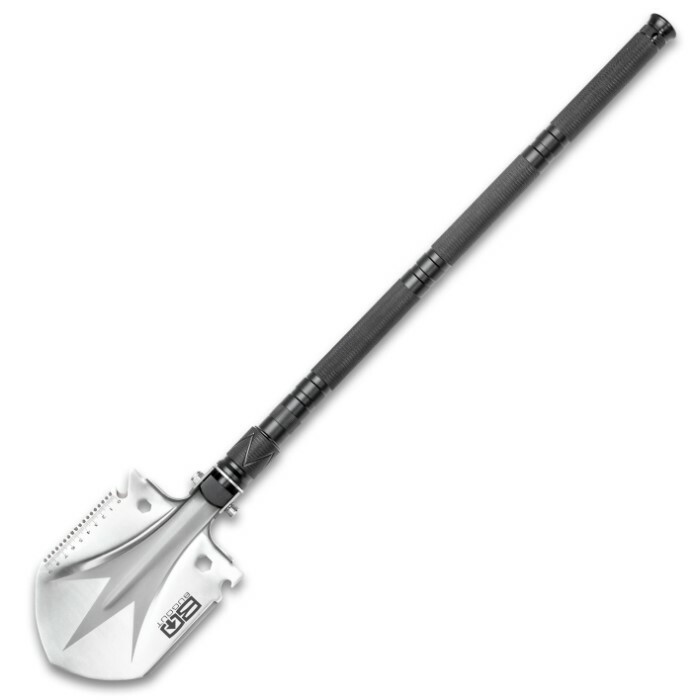 This is the one tool you absolutely cannot live without! 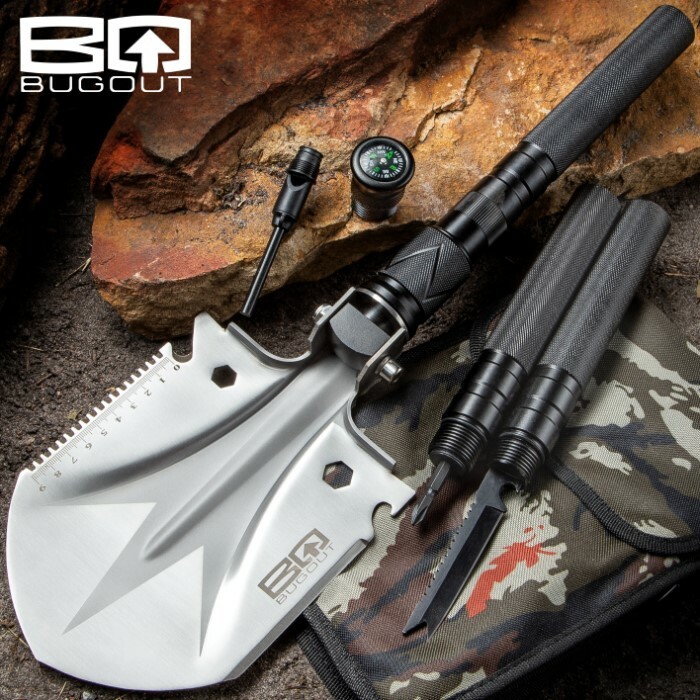 The BugOut Multi-Function Folding Entrenchment Tool has functions and features you need in your camping gear, vehicle emergency bag and bugout bag. 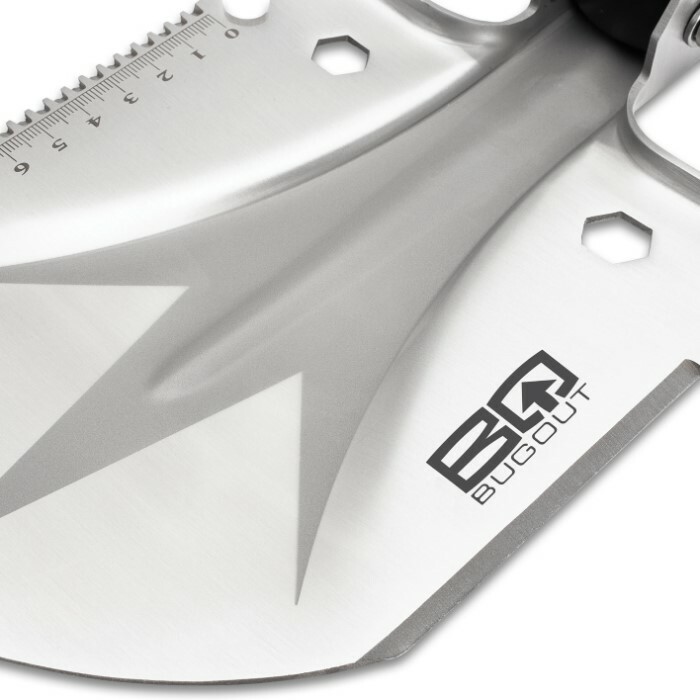 Starting from the top, it has a 7 1/2”x 5 3/4” stainless steel shovel head that features a saw, knife, hook knife, cleaver/ruler, wrenches and a bottle opener. 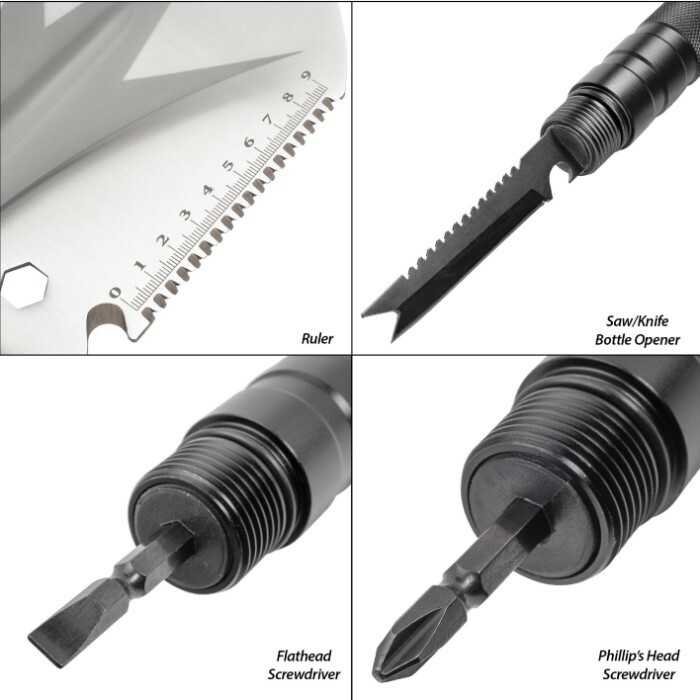 The break down, textured handle is made of heavy-duty aluminum and each of the three sections houses a tool including both a flat head and Phillips screwdriver, a saw with a cord cutter and unscrewing the pommel reveals the fire striker/emergency whistle. 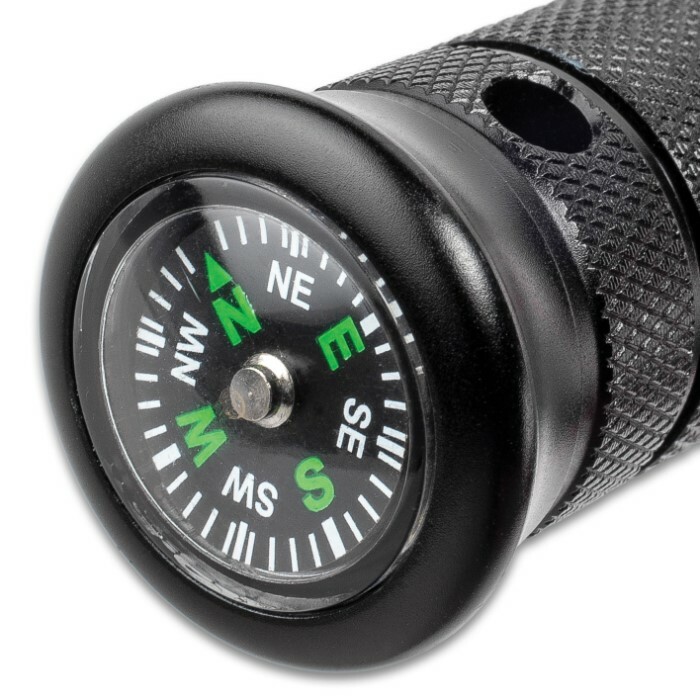 The pommel also features a compass set into it, just in case you get lost, and lanyard holes provide another carry option. 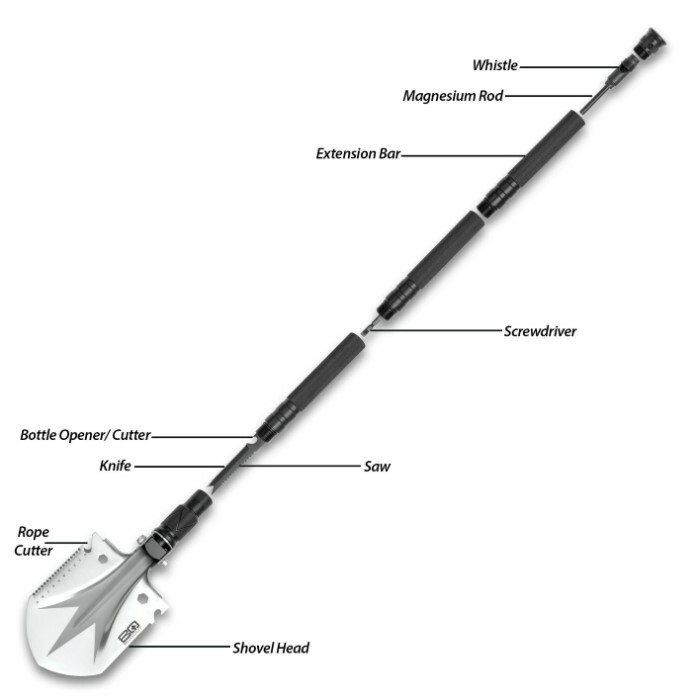 The entrenchment tool is 33” in length when fully put together and a steel lock allows the shovel to be secured into position. 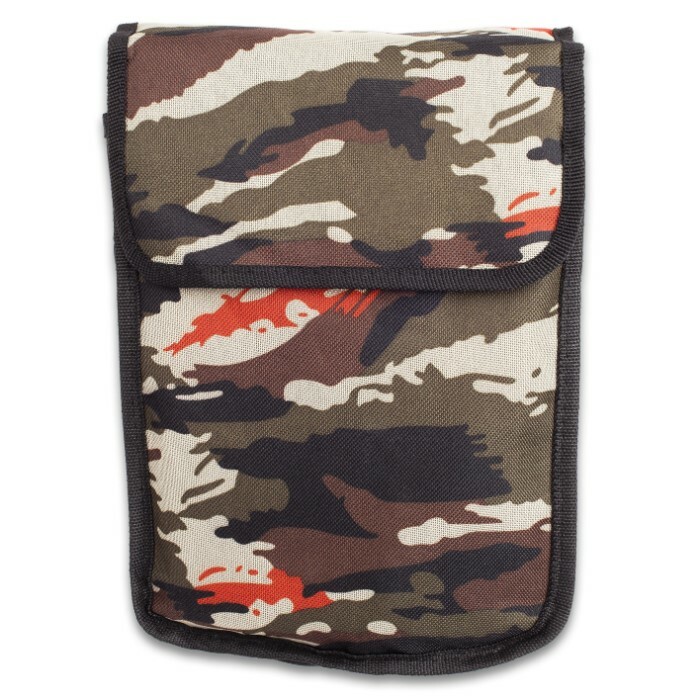 The length can be adjusted for need by using either one, two or all three of the sections. 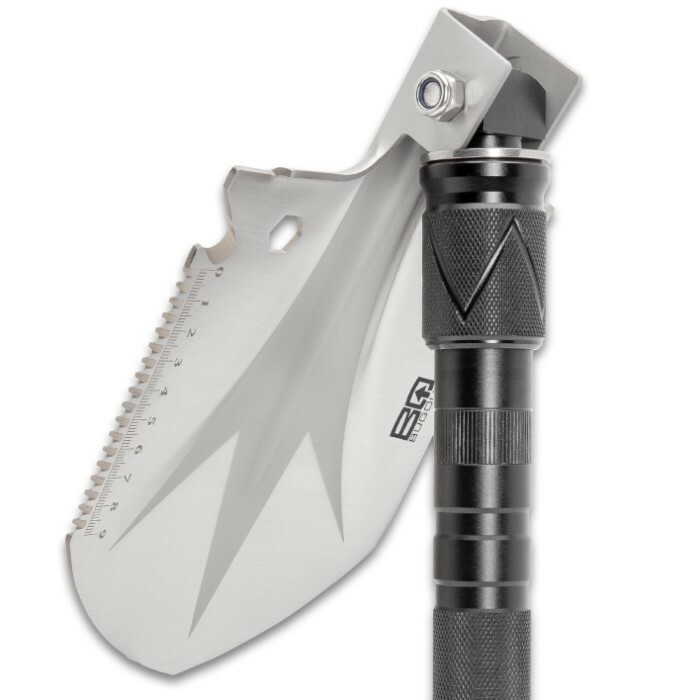 The BugOut Multi-Function Folding Entrenchment Tool comes housed in a durable nylon pouch with a Velcro closure, belt loop and adjustable strap, plus, a durable nylon sheath for the shovel head is also included and it has Velcro closures for a tight and secure fit.